Even the most natural parts of Florida are unnatural. Florida citrus? Not from here, but from China. Gators? Oh, they're from Florida all right, but that doesn't make having 1 per every 20 humans normal. Animals...in the form of roadkill? Only Florida allows you to keep anything you kill on the road (and anything you find). Yet everyone loves Florida: tourists come in droves, and people relocate to Florida constantly (only 36% of residents were born there). Crammed with unforgettable stories and facts, Florida will show readers exactly why. JAMES D. WRIGHT is a sociologist at the University of Central Florida and a Florida resident for nearly two decades. He lives in St. Pete Beach with his wife and an assortment of cats and dogs. 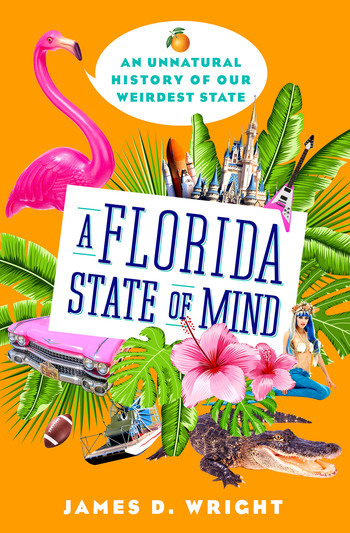 A Florida State of Mind is his first book.